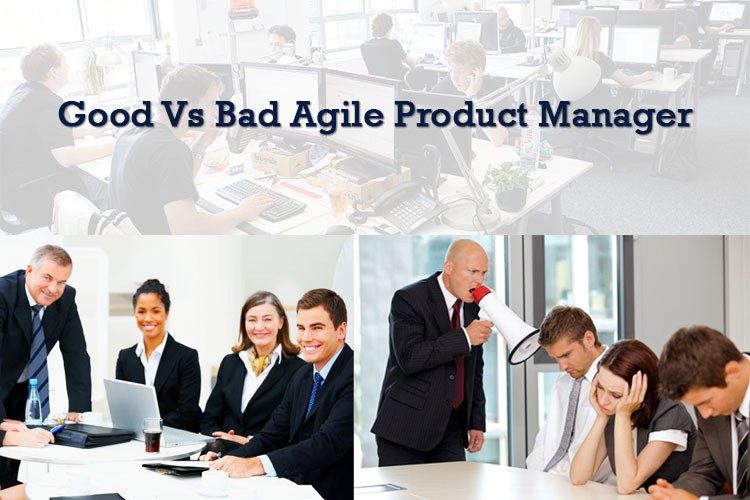 How To Differentiate Good And Bad Agile Product Manager? Good leadership is the key to successful completion of any project. Working in an agile environment is inevitable in the modern day corporate world. Identifying managers who suits the environment and eliminating the non-flexible one to the agile milieu is vital for software companies to survive. Here are a few tips to differentiate between the good and the bad product managers. Agile manifesto stresses on giving importance to individuals and interactions over processes and tools. A good manager is the one who is flexible and ready to work with the team. A bad manager is one who just commands people to follow the order. Famous management classifies leaders into connectors, directors, creators and analyzers. A connector leader suits the agile environment best. They give importance to getting the work done instead of concentrating of the documentation part which explains the reasons for the delay. They are flexible to several employee requests starting from comfortable time accommodations to varying roles in the group. A directive and straight manager will often force his team to follow the schedule they had prepared unmindful of the employee situation. They bother more about sticking to rules, averting risks and saving their reputation proving they have done everything the management specified rather than getting the work done and showing required results. Such managers often put their own safety in front of the employee wellbeing. They are not well suitable to work in agile environment. The customer’s needs might keep changing over time. It is important that the software team and the business people work hand in hand every day in an agile environment. The software people might indentify new needs or the customer might come with a different proposal than they initially submitted. The manager should be capable enough of convincing his team to take up last minute changes, giving respect to the customer needs rather than sticking only to what the contract specifies. This is very important as good co-operation from the team can be garnered only if the manager personally believes it is their duty to fulfill the customer’s request. Creative managers who find the best means to get the work done in a short period are required in such instances. Managers who simply refuse to be flexible and argue claiming the task is impossible will not help. Only those who get ready to handle extra work in a short notice are required.